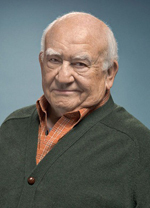 Listening to Ed Asner I’m reminded of Michael Polanyi’s observation (to paraphrase) that we believe more than we can prove and know more than we can say. Polanyi also talked about “growing points” in science, which I hope has an analogue in a free society where personal connections become more important, particularly when rethinking the past. Why not, after all, have an idealistic Socialist vision of what we want or a gimlet-eyed Socialist appraisal of what’s gone wrong? This is the stuff of which optimists are made. Thanks, Ed!! Total runtime thirty four minutes. Credo ut intelligam. Listen at source, linked here.